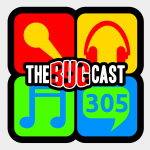 This week on The Bugcast: Cars, Politics and missing appendages, and 8 great tracks of independent and Creative Commons music! Pardon? Missing Malaysia Airlines flight MH370 – JJ Abrahams style plot? The next show will be episode 306, which will be broadcast live in the chatroom on Friday 21 March 2014 from 21:00 (ish) UK time (UTC).